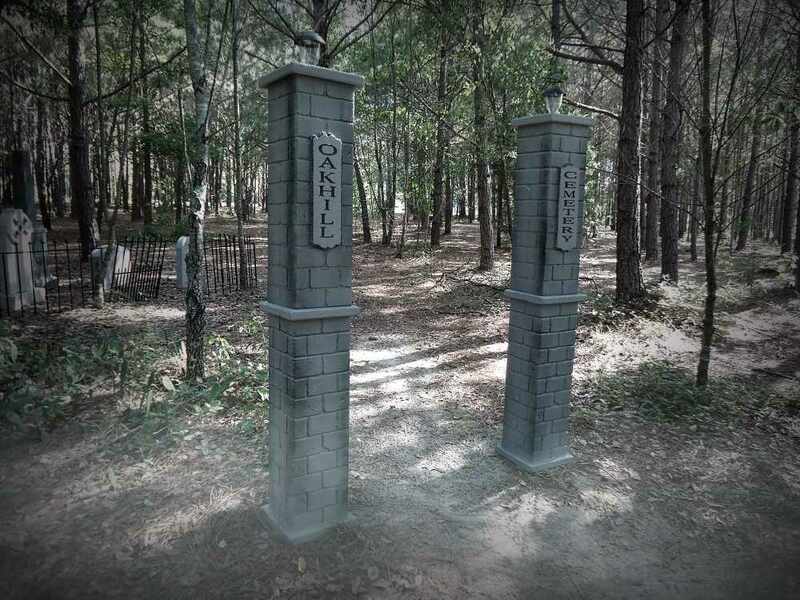 Transform your Home Sweet Home into a Haunted House with these 5' Evil Soul Studios Lighted Oakhill Cemetery Columns. 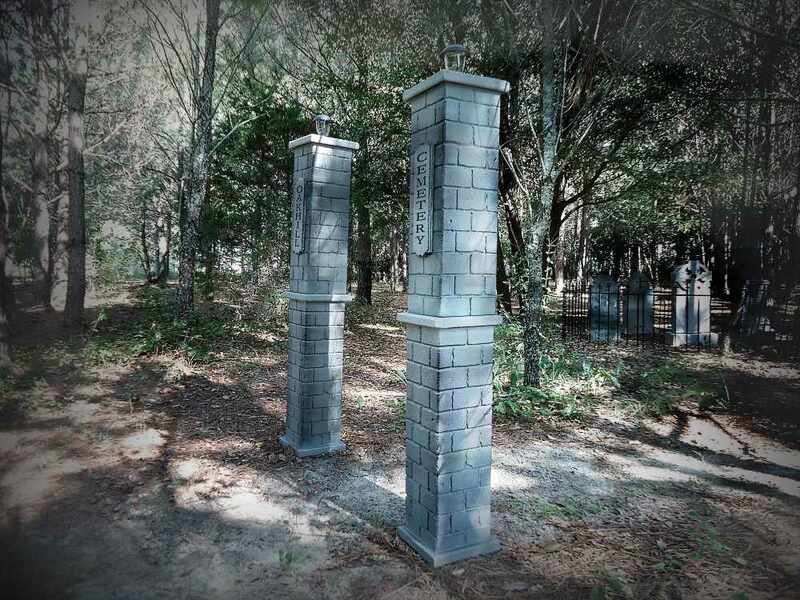 Includes two 60″ Cemetery Columns with solar gatehouse lights adorning the top of each column. Perfect for nighttime viewing for they will light your way. Each measures 60″H X 10.5″W. Not including the lights. Some assembly required. THESE WILL SHIP IN TWO SEPARATE BOXES BECAUSE OF SIZE WHICH IS REFLECTED IN THE SHIPPING CHARGES. 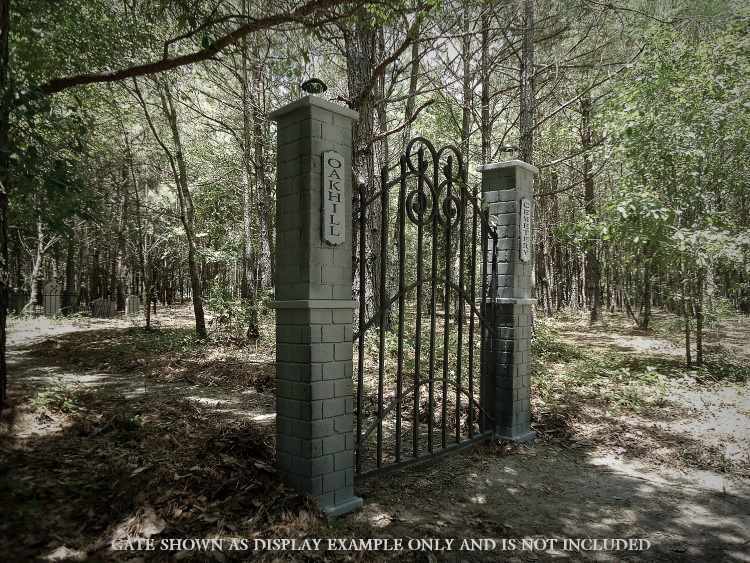 “PLEASE NOTE GATE IS SHOWN FOR DEMONSTRATION/IDEA PURPOSES ONLY AND IS NOT INCLUDED”. 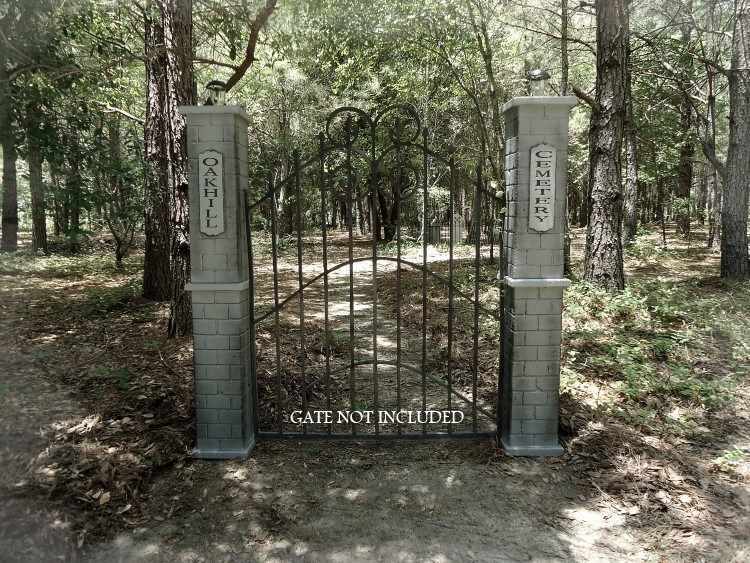 Similar gates can be purchased at your local home improvement store. Created to be as close to true size as possible for a realistic look without being oversized for shipping. Made from rigid polyurethane foam and come with commercial galvanzied steel stands. 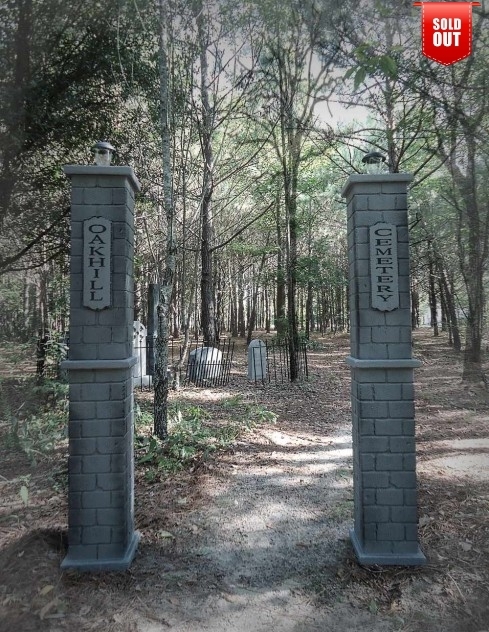 These are a must have for any true Halloween enthusiast. Each year we create a limited quantity and once they are sold out for the year, that’s it. So order soon before the one you want is gone. by Evil Soul Studios and may vary ever so slightly from one another. 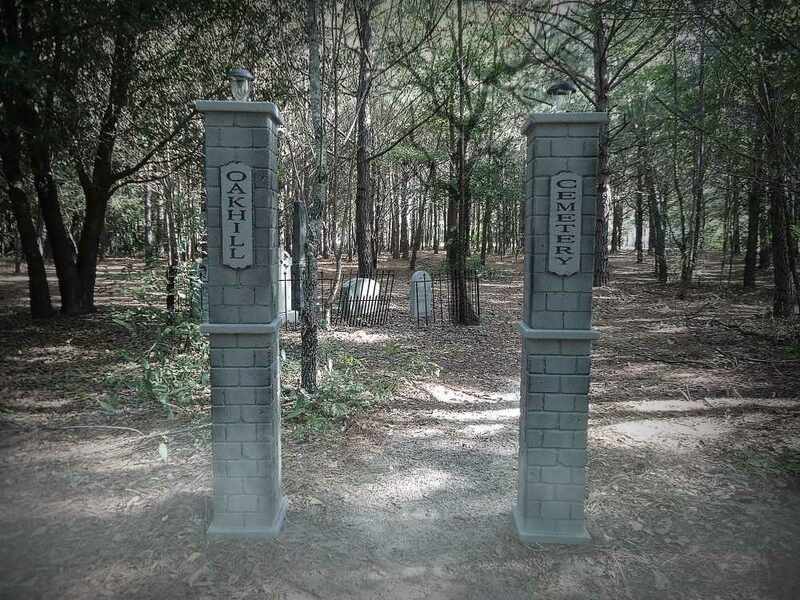 Be the first to review “VOakhill Cemetery Entrance Columns Lighted (Set) Over 5 feet Tall” Click here to cancel reply.